The Diamondbacks could have changed managers. The Diamondbacks could have changed general managers. Instead, they did something far more impactful: They changed their identity. 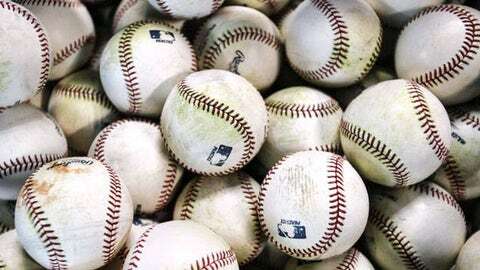 By hiring Hall of Famer Tony La Russa as their chief baseball officer, the Diamondbacks acquired a gravitas they’ve lacked for much of the last decade. After trying to win with a young core, then trying to win with grit, the Diamondbacks are trying to win with the game’s foremost winner over the past half-century. La Russa has been preparing for precisely this sort of role since retiring at the top of the managerial profession after the 2011 World Series. He spent part of the following spring in Lakeland, Fla., observing the Detroit Tigers’ front-office operation. Then he became an executive in the commissioner’s office, with duties that included implementation of the expanded instant replay program. So, he’s been exposed to aspects of the game beyond the nightly nine-inning obsession he had for 33 seasons as a major-league manager. That will serve him well with the Diamondbacks, who are in for a top-to-bottom education in the La Russa brand of competitiveness and accountability. What does this mean for the job security of GM Kevin Towers and manager Kirk Gibson? We don’t know yet. But the Diamondbacks are last in the National League West, with the league’s second-worst record. La Russa, whose 2,728 wins are the third-most all time, didn’t sign up to tolerate results like that. The La Russa hire can bring the same sort of cultural overhaul that Buck Showalter initiated when he joined the Baltimore Orioles in 2010. Showalter transformed the organization from the manager’s office; for now, at least, La Russa is prepared to do the same from above. But we’d be foolish not to note that La Russa is now part of the same organization as his close friend and longtime pitching coach Dave Duncan, who’s a Diamondbacks pitching consultant. 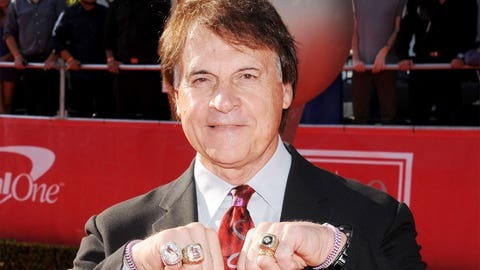 As long as that’s the case, baseball insiders will theorize that La Russa might one day return to the dugout. In the end, it’s hard to view La Russa’s presence in Arizona as anything but a huge win for the organization and its innovative president Derrick Hall. La Russa has been associated with one losing season since 1999. He didn’t take this job to accept the status quo. Remember that fixed gaze we saw from him on the top step of the dugout, behind those mysterious sunglasses? Over the coming weeks, he’ll be looking at every Diamondbacks employee the same way.